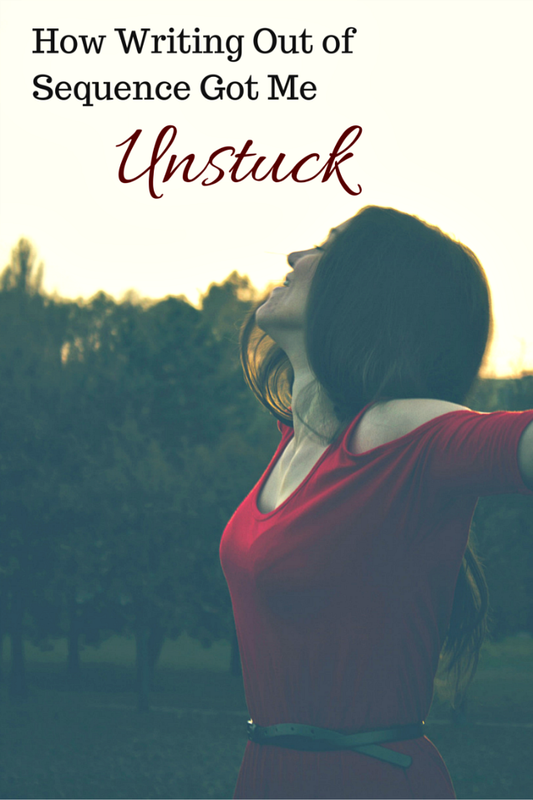 Unstuck is a peculiar word. To be honest, I’m not sure that it’s a word at all. I probably made it up, but hey, that’s what I do. I’m currently working on a dark little novel called Blood and Water. Up until about a week or so ago, I was chugging right along with no real difficulty. Then life got in the way (as it is wont to do). Super inconvenient. Anyway, I got stuck. I skidded to a halt. I couldn’t even get close to the keyboard without my mind and fingers completely seizing up. Of course, this was a problem. I had a novel to finish. One of the tricks I discovered for getting unstuck is to write out of sequence. I’ve always thought of myself as a linear writer, but since I don’t outline, I’m not committed to the structure. There was a scene I’d been dying to write, but I had yet to reach that part in the novel’s narrative. So, what did I do? I fired up Scrivener, put my fingers on the keyboard, and started typing away. It only took me two hours to finish. Once I was done, I sat there in silence, basking in the overwhelming feeling of accomplishment. I hadn’t written the scene that came next, but I had written something. Bottom line: it doesn’t matter what you write, as long as you write something. Of course, writing out of sequence might not work for everyone. Although it helped me get unstuck, I can understand some of the downsides. Writing out of sequence can cause you to lose momentum, for one thing. It can take you out of the moment of the story you’re in, and when you return, you might not get back into the groove of the scene. Another frustrating part of writing out of sequence requires connecting the dots. If you write a scene in the future, you have to go back (at some point) and fill in the gaps. Writing out of sequence worked for me. I’m not sure whether I’ll try it with another MS, but for Blood and Water, it’s making a world of difference. The next tip you get stuck, try writing out of sequence. It might be what you need to get moving again. What do you think about writing out of sequence? What are your tips for getting unstuck? I have a real hard time writing out of sequence at least in terms of real writing. I can do a brief sentence or two if some crazy idea comes to me about where I want the story to go, but otherwise, I can’t. Though I totally agree about writing something. I also recently had life get in the way, and I found myself not finding the time to write anything. But I ended up going a month. Between work and personal life stuff, I just had no creative juice left. Add in that I’m a bad nighttime writer, nothing got done. I think technological know-how just can make it even worse. Now there is a channel to hardly ever care, now there won’t be a opportunity for them to discover. I can see how writing out of sequence could be helpful at times. New and different approaches to a problem can stir up the imagination.